At the same time that I was working on Project 2 stitch samples showing shading I bumped into a friend of mine on her way back from her craft group. I asked what she had been working on and she got out a Blackwork embroidery sampler which she was working as an example of how the stitches can be worked in a variety of ways and threads to show different depths of colour. I quickly snapped a photo, below and this is shown with the permission of Sheila Beer. The same stitches have been worked in different threads to produce a range of shadings. Sheila also kindly lent me a book, the Royal School of Needlework Essential Stitch Guide Blackwork (Hogg, 2010). 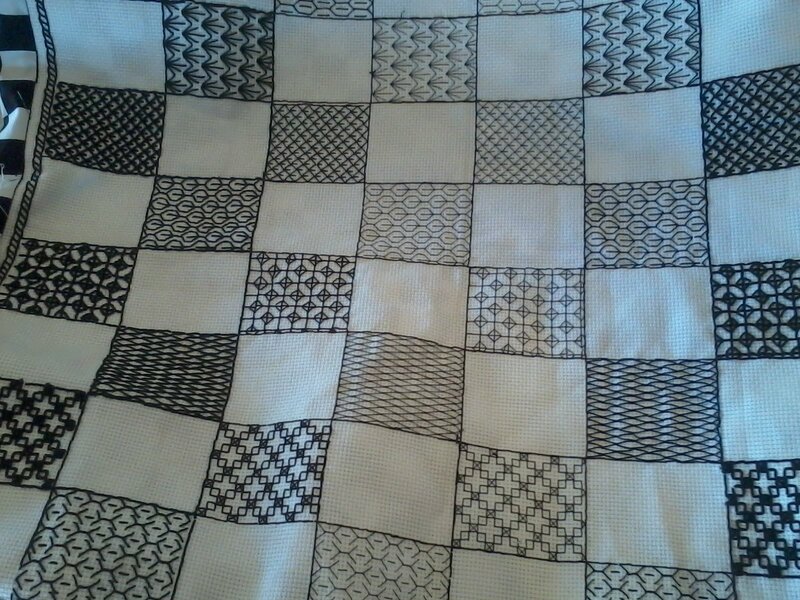 Blackwork is thought to have originated in Spain and became popular in England during the reign of Henry VIII. 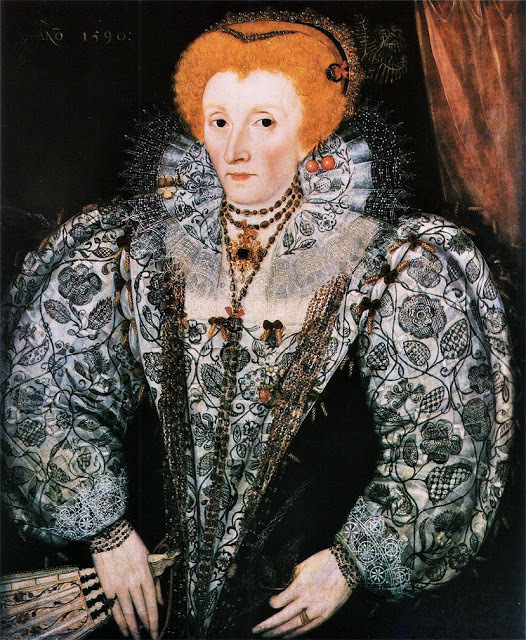 A well known portrait of Queen Elizabeth I by an unknown artist hangs at Jesus College Oxford and shows the Queen in an elaborately worked Blackwork gown. Blackwork was traditionally worked using silk thread on a linen fabric. There are some amazing contemporary examples of Blackwork that show off the detailed shading that can be achieved by varying the stitches used, the thread used, and by breaking down the stitches into their component parts. 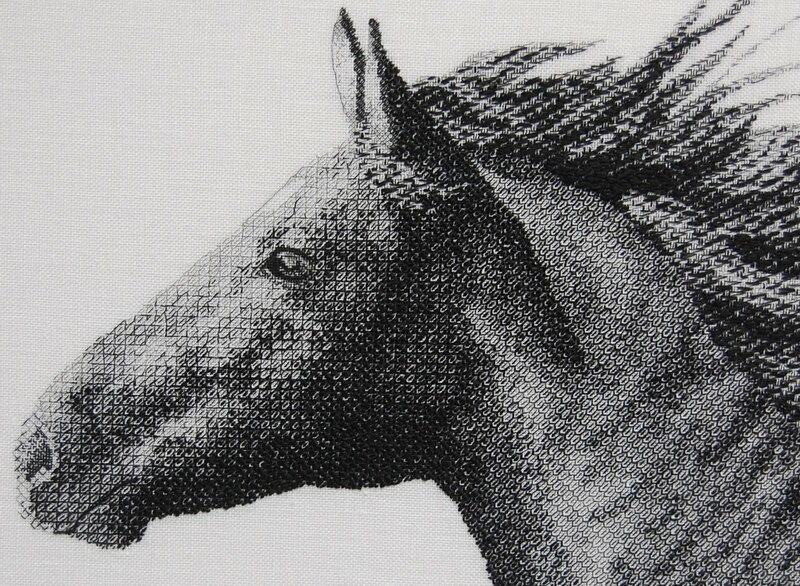 The following horse embroidery was done by Helen Richman at www.bluebirdembroidery.co.uk. Six stitches were used with different thread combinations to achieve this detailed shading. Blackwork was historically worked in other colours as well and sometimes embellished with silver gilt threads. 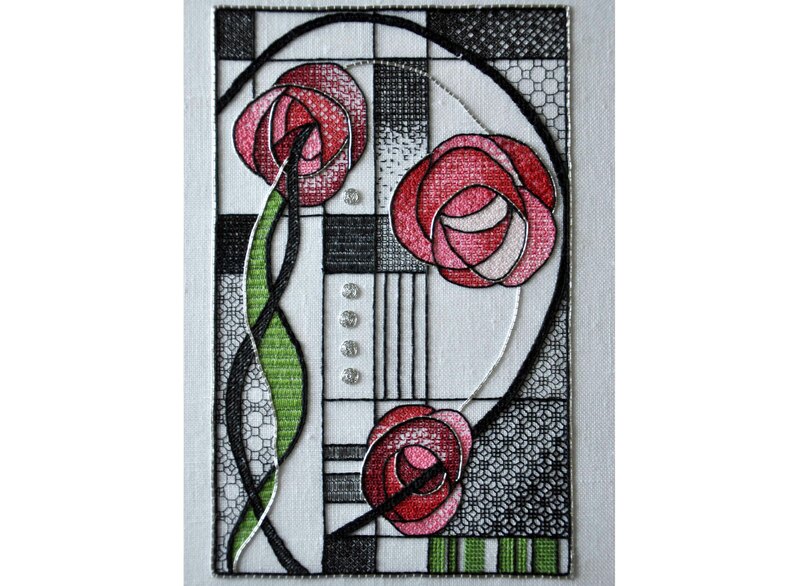 Another modern interpretation from Helen Richman is this lovely piece inspired by the work of Charles Rennie Mackintosh. I have not tried Blackwork embroidery myself, but drew an example in my sketchbook to show how one stitch can be worked to shade from dark through to light. Starting at the left with a 3.0mm nib pen I drew the lines for an open zig zag stitch (taken from the Blackwork book). I then changed to a 0.2mm pen for the zig zags but left the horizontal strokes still being worked in the 3mm pen. As I worked across to the right of the page I started to breakdown the “stitch” by removing parts of it and thinning down the number of lines to make the design lighter and lighter. If actually stitched, the process would be to start with a thicker thread and work down through a couple of thinner threads each time to produce a gradual shading effect. This would work well in textile pieces for other stitches, graduating through thick to thin threads and then breaking the stitch down into component parts and thinning it out to nothing.